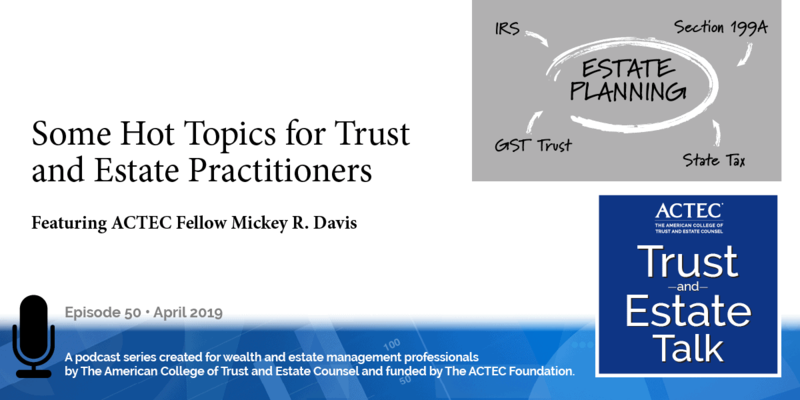 “Do You Have All the Tools to Deal with Your Client’s IRA Custodian?” That’s the subject of today’s ACTEC Trust and Estate Talk. 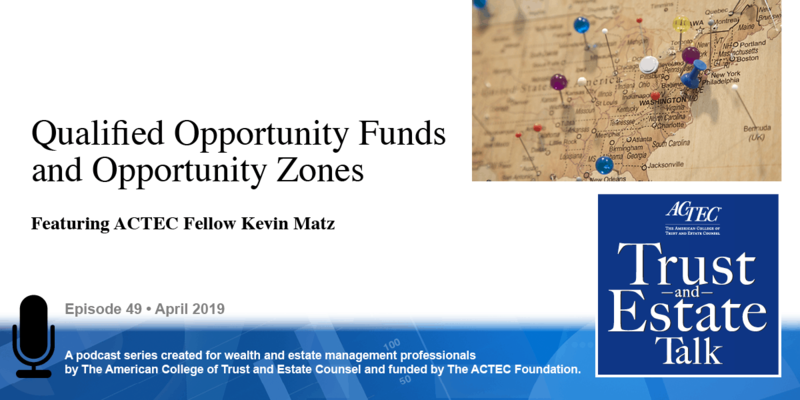 This is Kevin Matz, ACTEC Fellow from New York City. There are many different kinds of providers for a client’s individual retirement account, or IRA. Wealth planning attorneys frequently work with a client’s IRA provider to accomplish the client’s goals for the IRA. To learn more about this issue, I will be talking today with Svetlana Bekman, ACTEC from Chicago. Welcome, Svetlana. Hi, Kevin. To start, how does an IRA provider generally work with clients and their attorneys on the beneficiary designation? Well typically, the IRA provider will simply accept the beneficiary designation and acknowledge its receipt without any review or comment. And this is because, generally, the IRA provider does not give tax advice. To opine on the beneficiary designation would to a great extent would involve opining on the tax consequences of the designation. Now, in addition, the IRA custodian does not have the resources to review the numerous designations that cross its desk. Of course, there are some exceptions to this hands-off approach, so, for example, if the IRA owner’s relationship with the IRA provider involved, say investment or fiduciary services, the IRA provider may be willing to educate the client about different beneficiary options and their consequences but, of course, leave the ultimate decision to the IRA owner and their advisor. And then other IRA providers, for a higher fee, will allow an IRA owner to use a custom-drafted beneficiary designation. 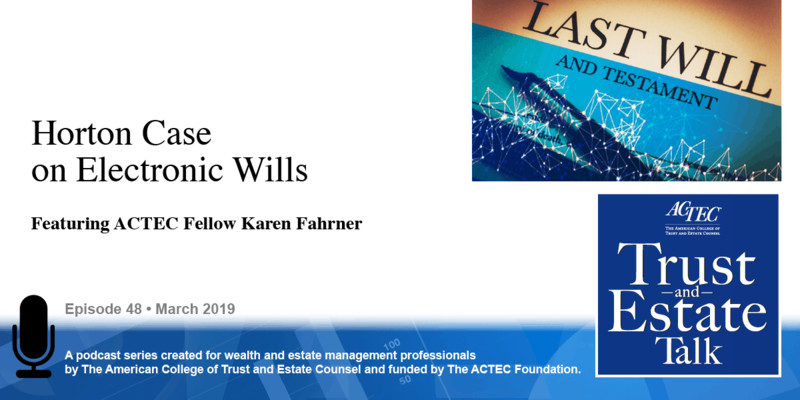 In this case, I would strongly recommend that the provider read the beneficiary designation closely to make sure that it is unambiguous so that, when the time comes, the client dies, the provider can implement the beneficiary designation. And what are the duties that are owed by the IRA custodian to the beneficiaries of an IRA? Right, so here we’re looking at a situation where the IRA owner has passed away, and now the beneficiaries are entitled to the assets. And the duties may arise under tax law and under the contract between the IRA custodian and the beneficiary. As an example, let’s consider the calculation of the required minimum distribution, RMD, also referred to as MRD. Under tax law, the IRA custodian has no obligation to calculate the RMD for a beneficiary of an IRA. And this in contrast to the obligation that the custodian does have to calculate or to offer to calculate the RMD for a living IRA owner. And though no obligation exists under tax law, the contract may explicitly obligate the provider to calculate the RMD for the beneficiary, or the course of conduct or the relationship between the provider and the beneficiary may lead the beneficiary to conclude that the IRA custodian has this obligation and that the beneficiary may rely on the calculations. And, of course, some custodians may actually actively want to provide this service. In any event, to avoid any misunderstanding that could result in liability to the IRA provider, the documents governing the account should be clear on this point, and the client-facing personnel should not assume more responsibility than what has been contracted for. What happens after a client dies, and his or her IRA has an ambiguous beneficiary designation? Well, from the IRA custodian’s perspective, of course, they – it – wants to fulfill the intent of the IRA owner if that intent can be ascertained. And the custodian also wants finality, and this means that if the custodian transfers the inherited IRA assets to, let’s say X, it does not want, or rather it wants to be sure that someone else, let’s say Y, does not later claim the same assets. So the custodian may also be worried about being held responsible for somebody else’s adverse income tax consequences. And how might that happen? Well, let’s say the IRA custodian transfers the inherited IRA to X, but then later the IRS asserts that Y was in fact the designated beneficiary and imposes income taxes and penalties on Y. The custodian’s concern is that in that case, Y may look to the custodian to be made whole. 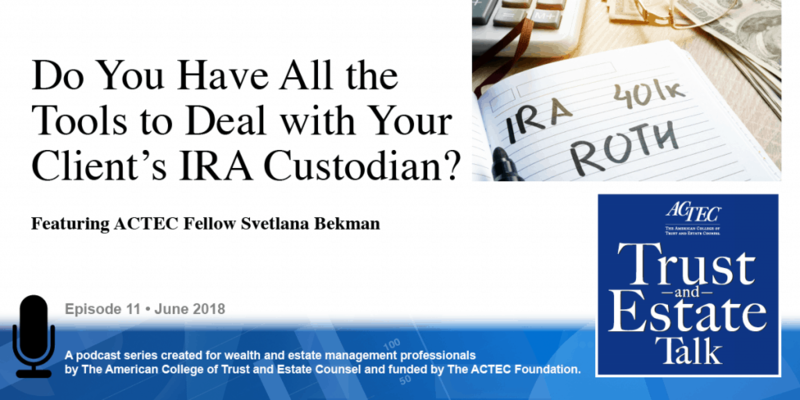 So, assuming that applicable law allows, the ideal solution to this situation is for the custodian and the parties with an interest in the IRA to enter into a private settlement agreement construing the ambiguous beneficiary designation. The agreement should also dispose of the IRA in accordance with the construction and release the IRA custodian from any liability, ideally with all parties having consulted and relying on their own counsel. In some instances, such an agreement may not be possible for some reason, for a number of reasons, and in that case, the only way forward may be a court action construing an ambiguous designation. And one last question: Sometimes a client is going to want to put non-marketable assets into his or her IRA. Is that a good idea? Well the client probably thinks so. And, in all likelihood, they don’t have enough liquidity in their taxable account, and this is why they’re asking for this non-marketable asset to be placed in their IRA. And this is a place that I urge everyone to tread very carefully. The client, indeed, should expect that the custodian will put up gates, and these gates are both for legal and practical reasons. So, from a legal perspective, the custodian is concerned that this investment may constitute a prohibited transaction, or PT. A PT is a transaction between the IRA owner or a party related to the IRA owner such as a relative or an entity that’s controlled by them and the IRA. PT results in disastrous tax consequences to the IRA owner, including disqualification of the IRA, excise taxes, deemed distribution of the prohibited investment, and, of course, the IRA custodian wants to help the client avoid stepping on a landmine, but the custodian is not in a position to vet the transaction. The PT, by the way, would also trigger certain reporting obligations for the provider itself. So, to avoid these adverse consequences, the IRA custodian will expect the owner of the account to seek their own tax advice and also to direct the custodian to enter into this transaction. And, in doing so, attest, that upon advice of counsel, this transaction is not a prohibited transaction. 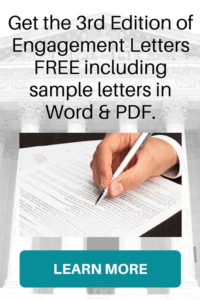 The practical considerations that might lead an IRA provider to refuse to accept non-marketable assets include the difficulty of making RMDs when you have an illiquid asset and also, due to having to provide the IRS with accurate valuation, something that the IRA custodian is required to do on an annual basis on form 5498. So, in short, the complexity of administering IRAs with non-marketable assets means that many providers will not accept them, and those that do will do so only as an accommodation to their most valuable and typically biggest clients. Thank you Svetlana for your IRA provider insights.